It’s a kind of magic, magic, magic, MAGIC! I am sure all of You know this sing from Queen. During the whole trip this was echoing in my head as this place is literally THE MAGIC. 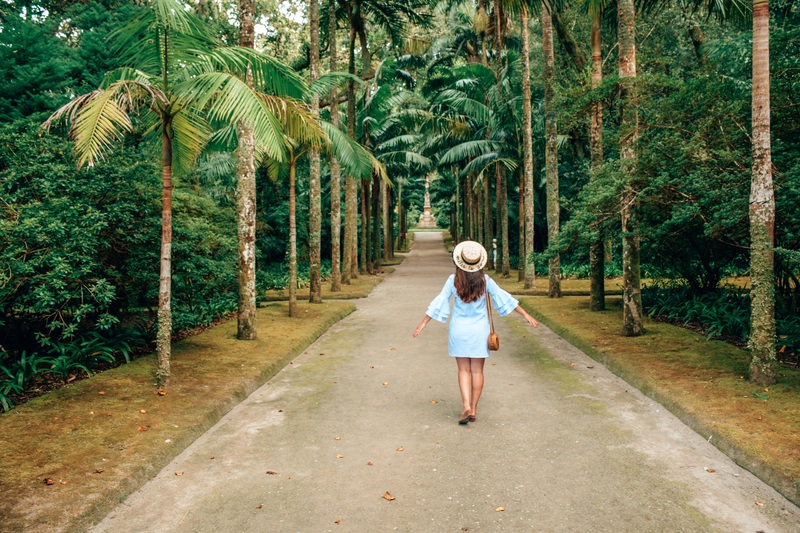 The greenest place I have ever seen with at least a billion shades of green, beautiful – never seen flowers, volcanos, great hikes, but first – a paradise for nature lovers. These 9 islands are laying on a triple junction between the North American, Eurasian and African plates. The islands are quite young ones from a geological sense, these are two main reasons of the MAGICAL nature here. Follow me to few of these beautiful islands, You will love them – I guarantee You. The climate of the Azores islands is mild, daytime temperature is between 16 and 25 degrees during the whole year. Here I must tell, that in August when the scale shows 26 degrees, on the sun You really feel it hot, so You can enjoy the sun, while swimming in the 26 degrees ocean. We have been there in August, when the number of the sunshine hours is the highest. Perfect time for relaxing and hiking as well. Also true, that rain can come anytime and then it is shining again after 15 minutes, layered clothing is highly recommended. 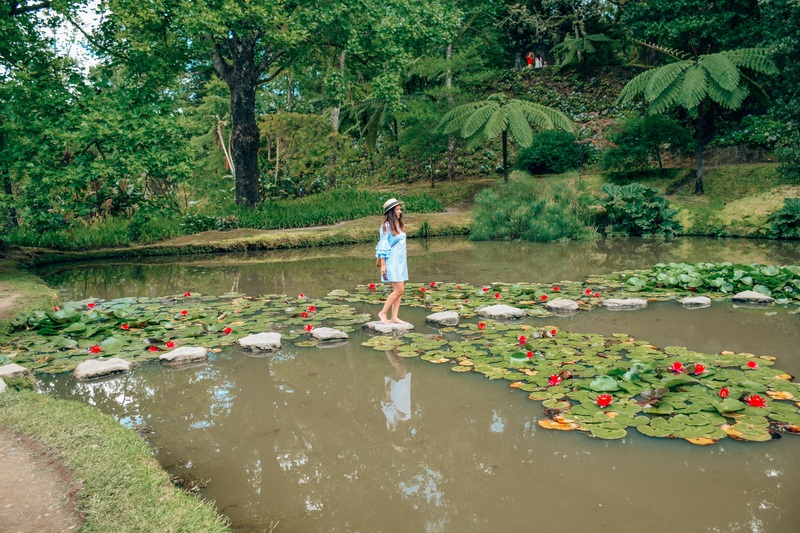 Europe’s oldest and – currently – only teaplantation is here at the main island at Sao Miguel, often called as Ilha Verde. After taking a 2-3 hours walk through the estate, You can have a chance to see how they are producing tea and at the end, You can taste 2 types of tea from their portfolio. How to get there? 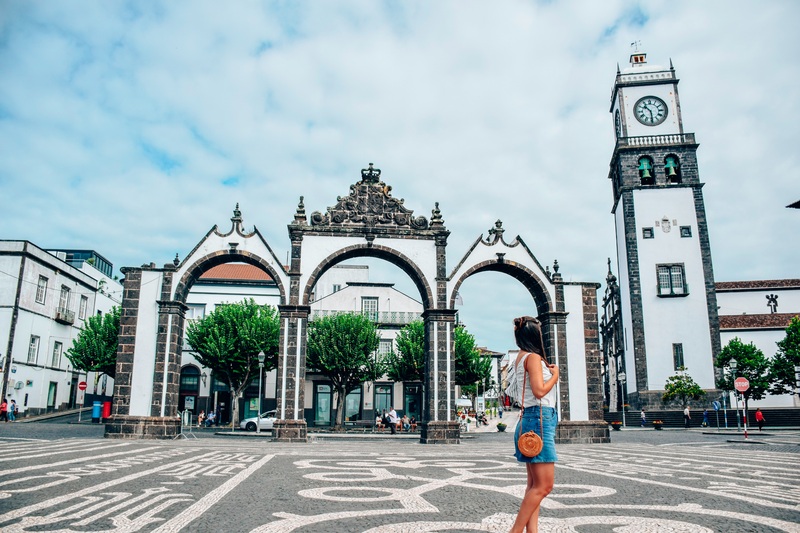 There are public buses going to the estate each day from the main square of Ponta Delgada (PD). The last bus starts around 12:00 and comes back to PD around 18:00 – check the actual schedule on the day before. If You are lucky – like how we were – a friendly local can also bring You to the estate or back. Taxi cars are also available at the main square of PD, a trip to the estate from PD costs around 30 USD per route. It is a great and not difficult hike. Proper hiking boots are suggested because of the sometimes muddy track, but not necessary. 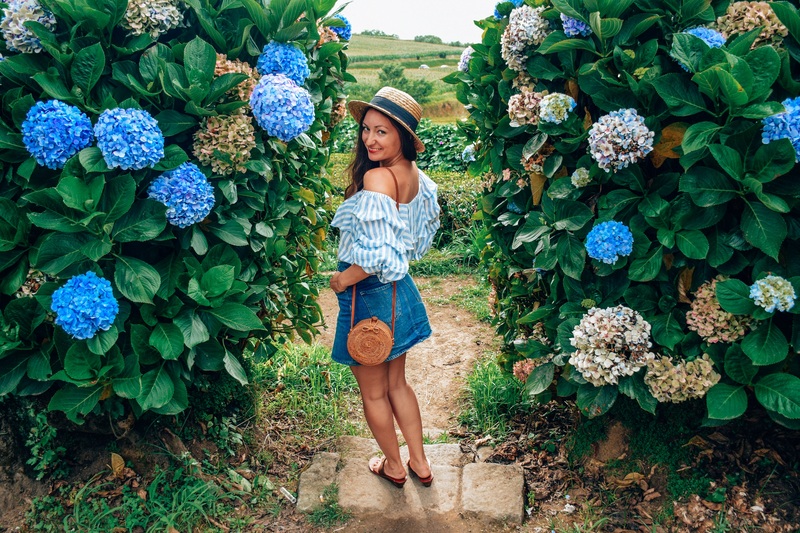 The full hike trail is around 4 hours in a beautiful, green, lush environment, which I consider as a “must do” if You are at Sao Miguel island. Don’t miss to take some beautiful pictures when You are on the top. In case You are not a “hike lover traveller” You can reach the beautiful view by car as well; it is easy, the road just goes by the lake with several viewpoints. 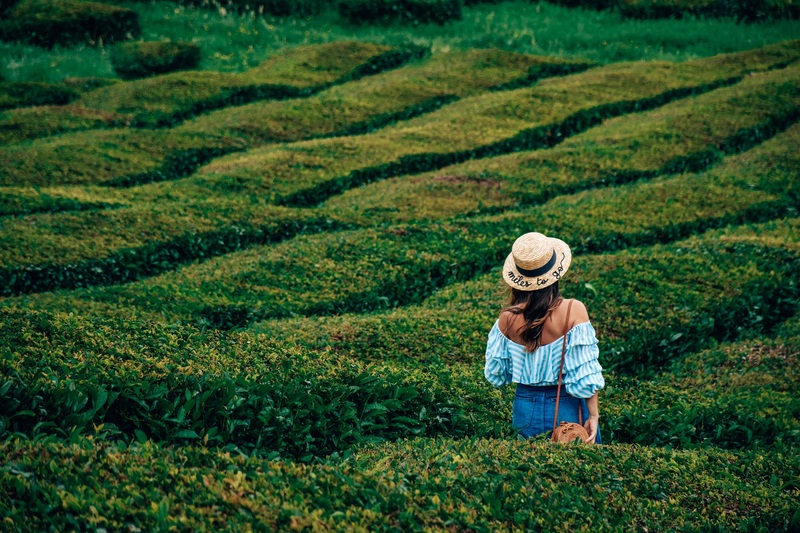 To get some tips on car hiring, please read the #Useful tips at the end, at the Azores islands it is almost impossible, so check that point out. No doubt, this is the most beautiful park I have ever seen and one of the highlight of this trip. It was built in 1780 by Thomas Hickling, an American consul – he had the original idea to build this park and breath a soul into it. 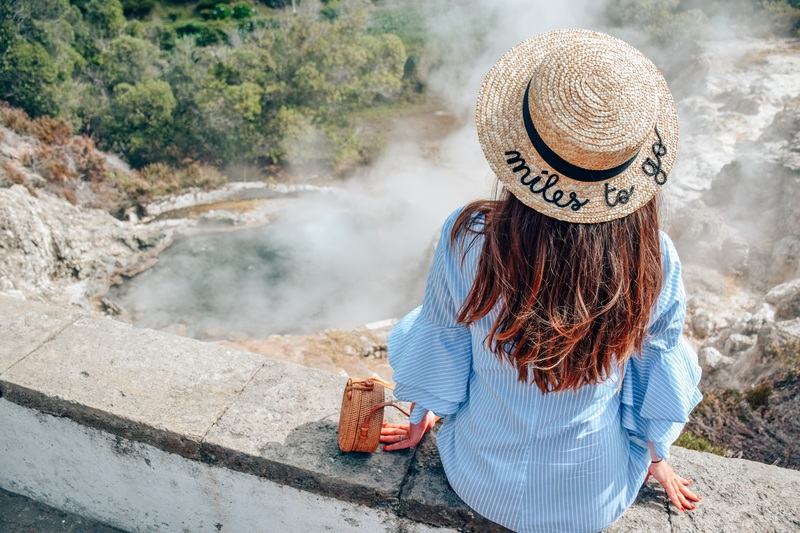 The Valley of Furnas is a volcanic crater, which stayed dormant in the last almost 400 years, last eruption happened in 1630. 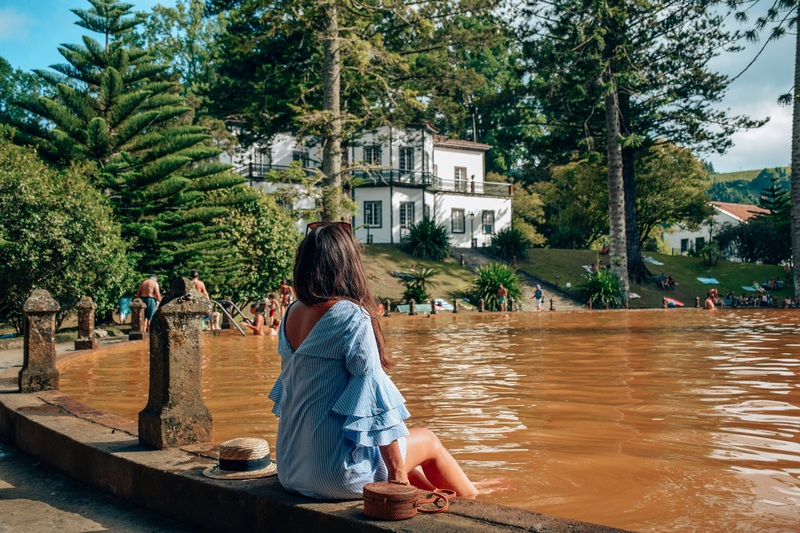 The volcanic environment gives the heart of the place, there is a thermal pool in the park, with a temperature of 35-40 degrees surrounded by amazing nature, with more than 2000 types of trees. Look at these photos :). It is undeniable portuguese. You will see the usual portugese architecture, which has a special place in my heart. I love the colorfully framed houses, windows and those massive stones. The city is the largest at the Azores islands, so we can call it as the capital of Azores with around 70 000 habitants. There are whale and dolphin watching tours starting from here, I will provide more detailed info about it on the following post. Check the #Where to stay and #Where to eat points out for some tips. This small island is just 1 km from the coast. It is perfect day trip for relaxing, snorkeling, laying on the beach at a unique environment. This island is laying in a crater of an old volcano, interesting fact, that the crater has an almost perfect circular form. The walls of the crater protects the lake inside, therefore You can find a beach with crystal clear water. 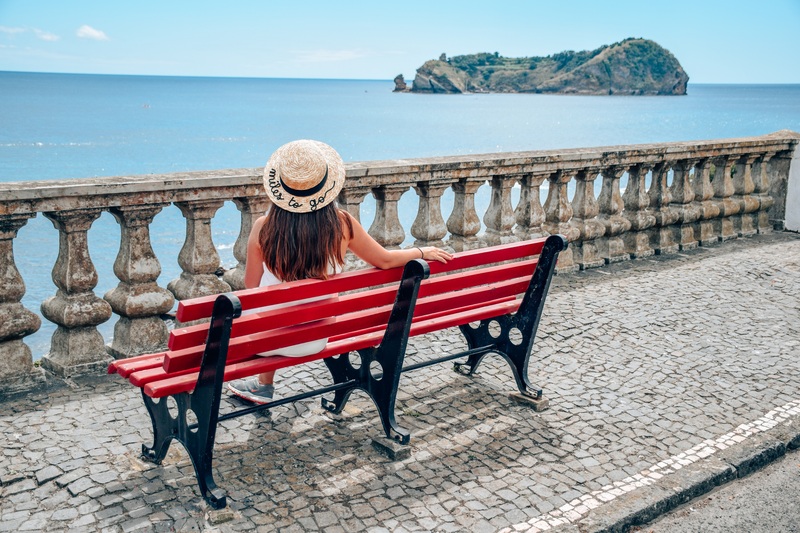 In the high season – from June to September – there is a boat from Vila Franca to the island, but be there early enough as there is a daily limit in the number of people allowed to enter the island. It can easily happen, that they sell their tickets out for the day. 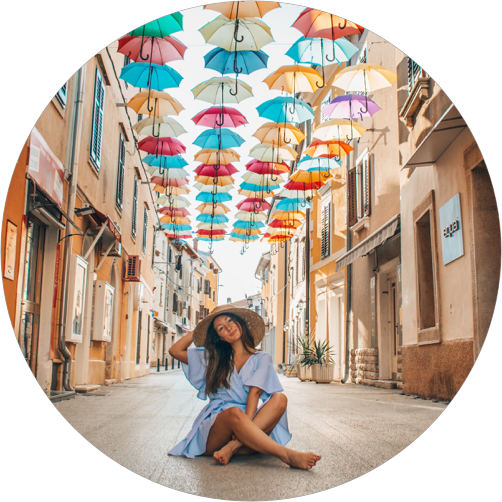 You can not pre-buy ticket for the next day, so unfortunately You need to be there and stand in the queue if You want to visit the island – which is definitely a good idea. Taberna Acor – best for vines, cheese and tapas. We really loved this place, book a table in advance to make sure You will have one. Canto do Aljuba – more for beers and cocktails, but their food is also great. Perfect for people on paleo diet, my fav was their special sweet potato in the oven. How to rent a car? The magical words are: WELL IN ADVANCE. There are rental companies, but way less than the demand. 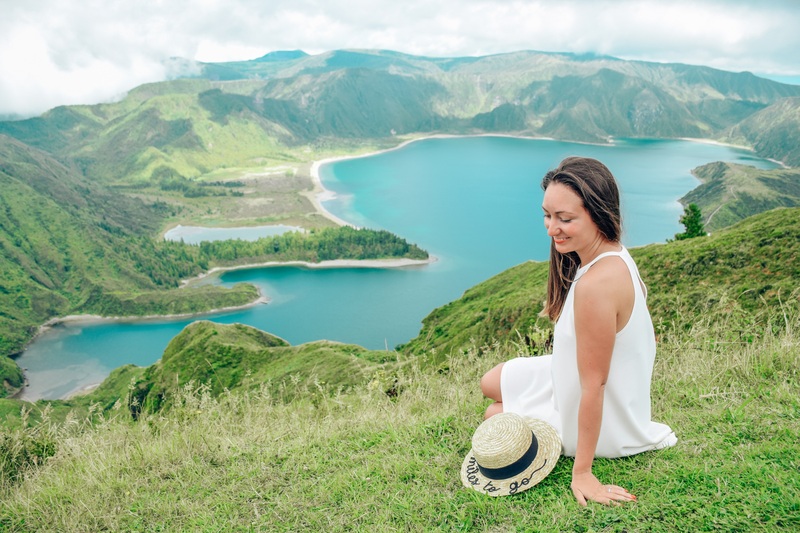 In the last 2-3 years the tourism at the Azores islands are booming. Simply – they are not yet prepared for that many tourists. 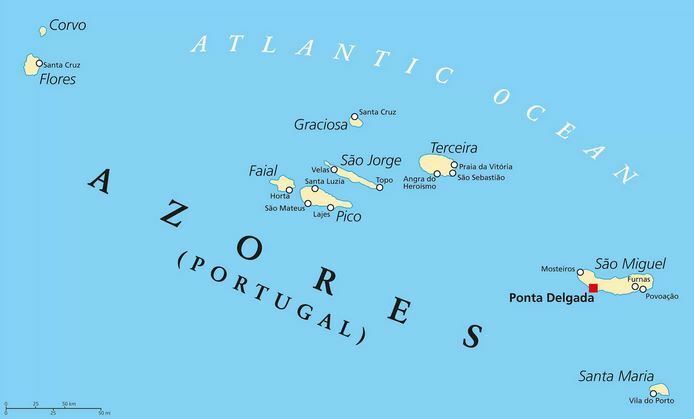 Here I need to highlight, that “many tourists” at the Azores islands, does not mean a crowded place. Definitely not, we were there at the peak season in August and it was perfectly calm, but compared to the previous years, there are at least 2-3 times more tourists, so You need to do the bookings at least 3 month in advance, especially if You are targeting the place for summer. Hotel bookings. I would say the same advice: WELL IN ADVANCE. We started to book hotels 2,5 month before the trip and there was only 5% available hotels at booking.com. Start it at least 4-5 month before your trip. What kind of clothes to pack? If You are going to hike – which I strongly recommend – pack proper hiker boots and rain coat, plus do not forget to bring change clothes. For the daywear during the summer – from mid June to mid September – You will feel yourself the most comfortable in short and sleeveless. Even if there is only 25-26 degrees, You will feel it hot on the sun. Weather conditions are vary here, can be it is raining and then few minutes later it is shining again.